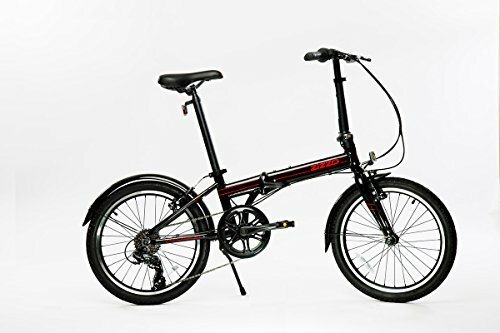 Welcome to Top 10 Best Folding Bikes 2019 Reviews feature. Folding bikes have skyrocketed in popularity over the last few years. The foldable bicycle is the most comfortable bike for those who do not have a car or sufficient space for storage and parking — folding bikes, also known as collapsible commuter bikes. The good thing about folding bike is, you can bring it everywhere on your private or public transport. There are several considerations to keep in mind when you are picking the best folding bike, so stick around and we will get you all caught up. Some of these bikes can be used as a foldable road bike and foldable mountain bike. Based on the analysis provided throughout his review, the EuroMini ZiZZO Via Folding Bike is highly recommended, based on budget, design, and quality. Below are the Best Folding Bikes to buy in 2019. 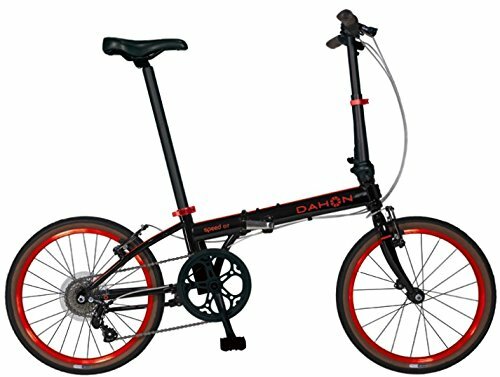 If you have limited space, this Dahon Mariner d8 folding bike is the choice for you. The frame is made of lightweight Dalloy Sonus tubes. This bike brings you eight different speed levels that offer you more selections to choose from. It hs 20-inch aluminum single-wall rim. It comes with an adjustable stem that helps to adjust the folding bike without regarding the height of the riders. The soft saddle added extra comfort. It comes with aluminum V-brakes to secure you from the accident. It folds up into a little package so you can store it in a garage or car. Maximum rider weight capacity is 230 lb. It takes less than 15-seconds to fold this bike. The Rear rack included with this bike. This is a great choice for a mid-range folding bike. The frame is hand-welded from custom-drawn. It has seven speed Shimano RD-TX35 Rear Derailleur and Twist Shifter. The saddles are soft and gear shifting is smooth. It comes with a rear rack for toting your briefcase, and included mudguards will defend your work clothes from messy puddles after the rainstorm. The weight is more than 26 lbs but it manageable thanks to the compact folded size. The handle post, handlebar and seat post can be adjusted easily. It comes with fender. It has 20″ wheels. You will find it comfortable to ride this bike around the city. 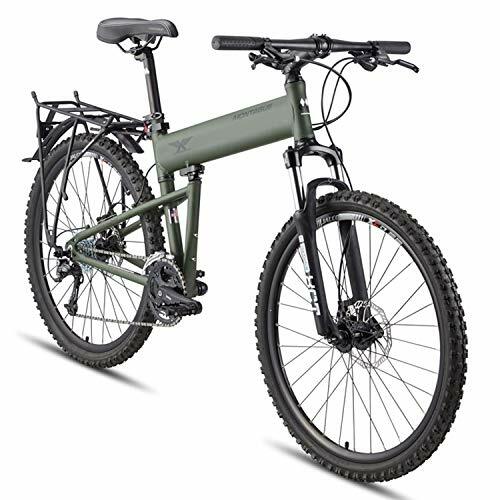 This mountain bike was co-developed by the United States Military. It was originally made for troops jumping out of planes, who needed a bike for the terrain once they reached the ground. This bike is now available for the civilians, who can enjoy all of its benefits and toughness. The frame of the bike is made of 7005 aluminum. It has a full suspension look, but it is only a hardtail. The Suntour front fork provides lots of travel on the shock to absorb impacts. It weighs around 29 lbs, which is acceptable. It folds in the center using the single pin-release hinge and collapses down in about 15 seconds. The drivetrain offers a multitude of gears, with a total of 24. It has mechanical disc brakes that offer a quicker response, great stopping power, and better performance. It has luggage rack on the back. The rack is useful, accommodating a rather large load if you know how to use bungee cords accurately. It features an integrated fender and matching front fender. Take much space in a folded position. This mountain bike is equipped to handle serious trail riding and fold away in a matter of seconds. The frame is constructed with aluminum and also keep the weight manageable. The folding mechanism is at the center of the frame, and the hinge swings from one side to the other. The hinge is reinforced with 2 separate latches for added security. Folding takes about 30 seconds. The gearing system is made of Shimano components and totals 24 gears. It comes with the high-quality suspension fork that is powerful and shock-tolerable. It comes with 24-speeds that can handle rough terrains and gear change is smooth. The disk brake of this mountain bike eliminates the speed immediately. Additional components such as ergonomic handlebars and cut-away saddle add to its overall control and comfort during all riding setting. This full suspension mountain bike can properly fold up and collapse. 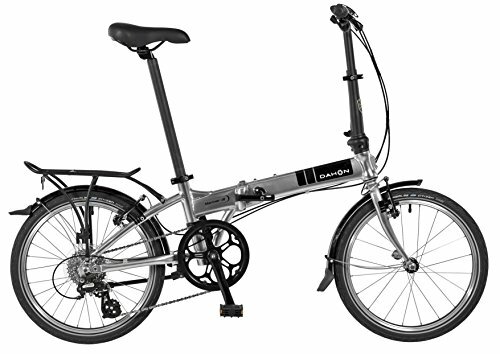 This folding bike is ideal for riders that want a premium bike at an affordable price. It has an aluminum alloy frame that weighs in at 24 pounds. 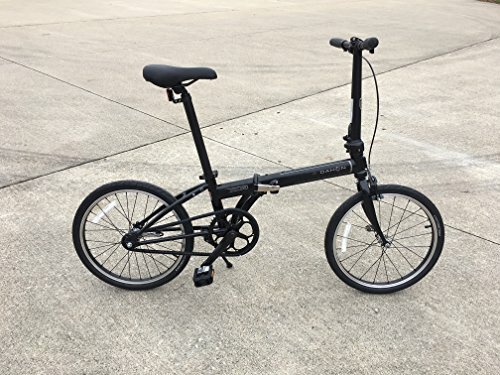 This is a lightweight folding bike. The Shimano Revo gear system has 7 speeds that you can switch between with the grip shifter on the right handlebar. The Aluminum Alloy V-Brakes provide great stopping power. With an adjustable height, this folding bike could be used for RV camping trips with families. The Via has tires that will work well off-road trails as well as street riding. It can easily fit anyone from 5ft to 6 ½ feet. This is a versatile bike, its excellent for the urban commuter or takes it camping for riding around the trails. It has a weight capacity of 240 lbs. 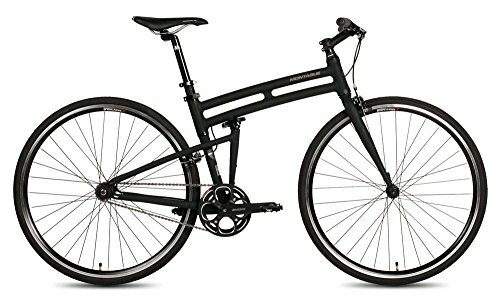 This is a great sturdy bike for the price. It features the Seat post, Crankset, Kickstand, Headset, front & rear hub, and Rear Fenders and more. You can fold the bike within 30 seconds or less. This Folding Bike isn’t a traditional road bike, but it is as close as you will get to one, especially for this price. 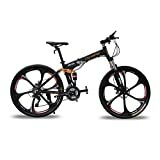 It rides so smooth on uphill, city roads, slopes or even rough terrain. The frame is made from steel. The Kenda 26” tires and alloy rim increase the durability of the wheels and allow riders to conquer challenging terrain. It comes with Shimano 18 speed shifter and derailleur. The bike weighs around 33 lbs. The folding mechanism is halfway down the frame and uses a simple, single-latch design that is quick and easy. This bike comes with front and rears V-brakes. It means, if you need to stop, you are going to stop in a hurry. The handle stem can be removed and adjusted to however you see fit. The black bell on this bike is made of a silver color cap and PVC is high quality as well. It features the steel kickstand. Max. rider capacity is 200 lbs. This bike is recommended only for people those height is from 5.3 to 6 ft. Brake handles made from plastic. 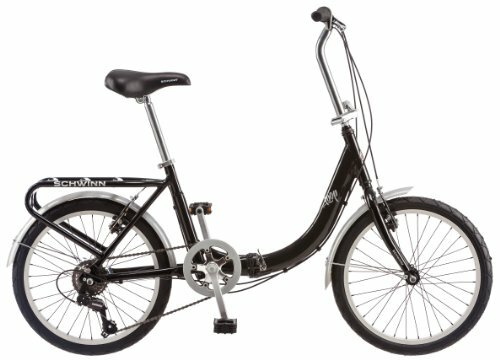 Schwinn Folding Bike is ideal for city commuters. The frame is made from aluminum. When folded up it measures 30”x32”x11” so it will take up little space in your office or apartment. It has 7-speed drivetrain that allows you to take this bike over hilly terrain. The gears are smooth. It weighs 33 pound. The bike’s wheelset uses 20-inch alloy wheels with 30 spokes. The Caliper brakes give you a lot of stopping power. It has a nylon storage case for carrying and safe storage. This bike is built for those of a smaller frame and weight limit is 230 lbs. It features kickstand and durable steel hinges. This bike is big enough to accommodate a 6″ rider. This bike is easy to fold and unfold. The performance of this bike is excellent. It comes in three different colors. This bike offers the lifetime warranty as long as you own it. This is a best entry-level folding bike that won’t break your wallet. This folding bike is ideal for urban rides. The frame is made from aluminum and helping to absorb some shock. The 700c wheels enable you to reach your destined place fast. The wheelset includes 32-spoke alloy rims that offer speed and stability. This bike uses a single-speed setup that is fast and responsive. The dual pivot caliper brakes give stopping power. It is simple to fold and takes less than 20 seconds for folding. Other features include cushioned gel saddle, sturdy steel cage trekking pedals, and riser-style handlebars. You can carry Boston folding bike on public transport without disturbing other passengers. It looks simple but provides excellent performance. It comes in two different sizes. When fully set up, it weighs about 25 pounds. This folding bike is ideal for urban commuting on flat streets. The frame of this bike is made out of chrome. At 24 pounds, Uno is one of Dahon’s lightest bikes. The Double Lock latching design makes the bike safe to transport by utilizing a secondary lock on every latch. 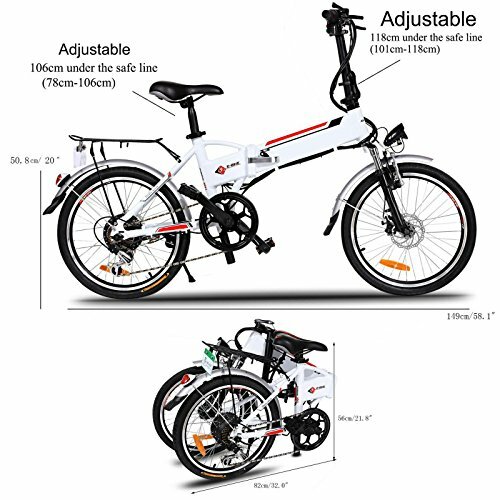 At 11.7x30x25 dimensions when folded down, this folding bike is perfect for compact storage. It has no brake or shifter cables, resulting in a simple, low maintenance design. This bike is single-speed but not fixed-gear. The dimension of the bike is great for taller people. The seat is designed for pressure release, so heavier cyclists will be well-supported. It is easy and quick to fold and unfold the bike, making it ideal for traveling on city bus routes. Max rider capacity is 230-pound. This is best folding bike under $500 and perfect for commuting around town. This Folding City commuting ebike is ideal for your daily commute. It is powered by a lithium rechargeable battery that allows you to move fast and easy. The frame is made of aluminum. It is crafted with aluminum alloy wheels for smooth movement on various surfaces. It is equipped with a bright LED headlamp that allows riding even in dark areas. It has 7-speed gears so you can run on hilly places with ease. You can fold the bike for transportation and assembling takes less than 15 minutes to complete. Max load capacity 300lbs of this ebike. Other equipped parts include dual brakes and release clamp for easy folding and unfolding the bike. Folded Dimension: This is the size of a bike after it is folded. 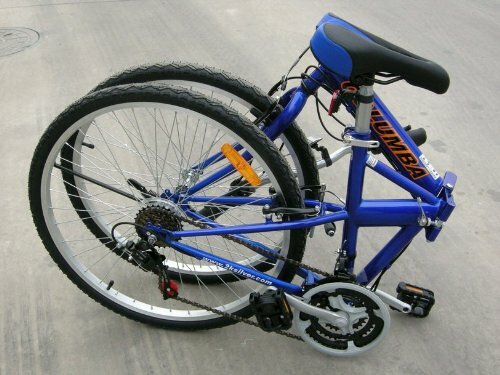 Commonly, a folding bike can decrease the size at least half when folded. The frame design and wheel size will decide how compact a folding bike is. The common wheel sizes are 16 inches, 20 inches, and 24 inches. Weight: It is enough to keep things under 30 pounds, with 20 pounds being the best weight range. If you’re going to be carrying a folding bike for long distances on a regular basis, it is best to pay more money for a lighter model. Speeds: This bike can have from 1 to over 20 speeds (gears), which are provided by front and rear derailleurs. More gears are not certainly better, so carefully choose the number of gears based on the road you will be riding. Rider Size: Mostly fold up bikes are one-size-fits-all. Most folding bikes listings will have a size chart added to help you make assured that it will fit you. The above list of best foldable bikes required for various activities. 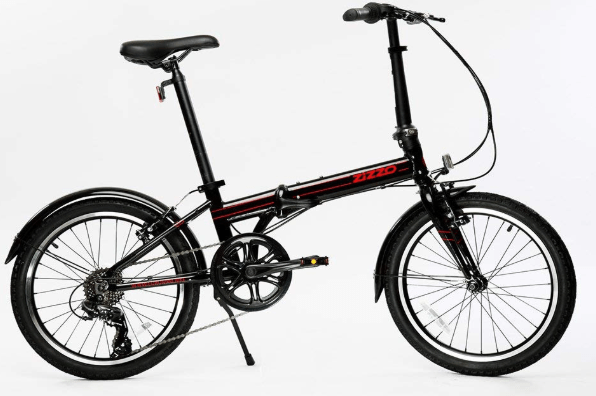 When selecting a folding bike there are several things to consider; style, frame, wheel sizes, gear, and weight limit are your main considerations when selecting a folding bike. Before going through with a buying, double check your riding requirements and the bike’s capabilities one more time to make sure you are taking the bike that will give you the riding experience that is needed. Also, make sure bike has brakes, and they’re working correctly for safety purposes. Hope above list of the best folding bikes 2019 reviews and buying guide will be essential to find an exciting folding bike for you.